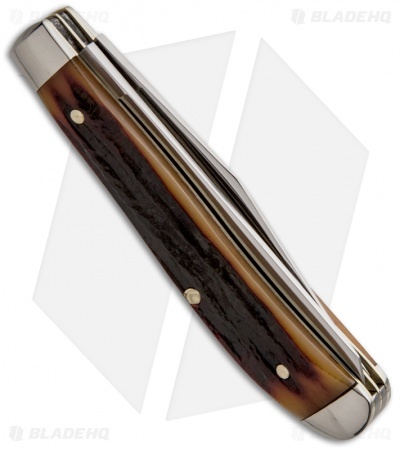 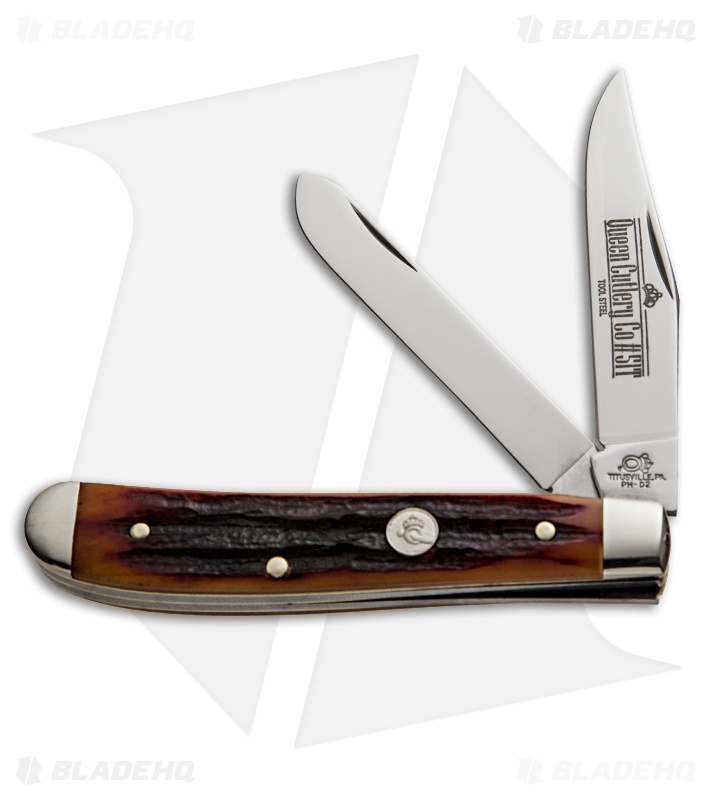 This Mini Trapper has a 3-1/2" aged honey jigged bone handle with nickel silver bolsters, brass liners, and a stainless steel slip-joint back. The D2 steel blades feature flat grinds and nail nicks for opening. 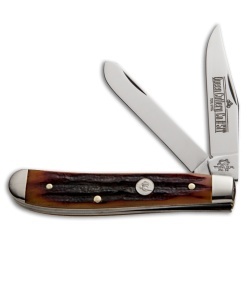 Features a clip point and spey blade.